In the fresh issue of Doctor Who Magazine, there’s a list of the writing and directing talent behind the next wave of episodes, formally the second half of this “seventh” series. We kick off with Steven Moffat, at Christmas. His special, which we believe to be called The Snowmen, has been directed by Colm McCarthy. And after that? Here’s how the rest shake out. Episode Seven: Written by Neil Cross, directed by Farren Blackburn. Episode Eight: Written by Mark Gatiss, directed by Douglas MacKinnon. Episode Nine: Written by Neil Cross, directed by Jamie Payne. Episode Ten: Written by Stephen Thompson, directed by Mat King. Episode Eleven: Written by Mark Gatiss, directed by Saul Metzstein. Episode Twelve: Written by Neil Gaiman, directed by Steven Wolfenden. Episode Thirteen: Written by Steven Moffat, director to be announced. Steve bloody Thompson. He was the perpetrator of last year’s awful Pirate-themed charade, The Black Spot. Well, I’ll root for him to have really pulled it out of the bag this time. C’mon Thompson. Gaiman though? Yes please. And Cross will do nicely too. 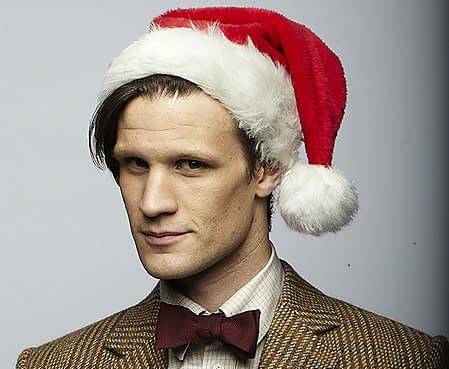 Nine, ten and eleven have been filmed, with the Christmas special more or less, or perhaps just recently, wrapped. The rest will go before cameras in the coming months.